Working construction has got to be one of the most interesting and fulfilling jobs in the world. Not least because you are helping to build the world one structure at a time. The other excellent thing about working in the construction industry is some of the amazing discoveries that are made on a regular basis. It makes sense if you think about it, construction workers are digging up roads or knocking down buildings that have existed for hundreds of years. The land beneath has been there for even longer, so who knows what mysteries lie below. Every now and then we hear of amazing discoveries by construction workers, who have uncovered some truly jaw-dropping things during their projects. Some of these things defy belief, while others kind of make sense, but are still impressive. Here are some of the craziest things ever found by construction workers during projects. Way back in 1957, a group of students from MIT decided to bury a time capsule to commemorate one of the newly constructed buildings. 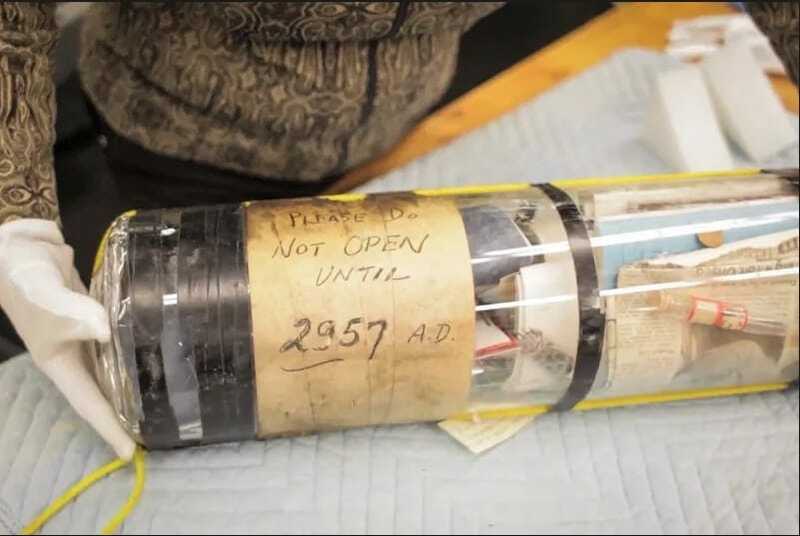 Inside the capsule, they placed research papers, and other scientific bits and pieces, and buried it in the dirt. Imagine the surprise etched on the faces of the construction team in 2015 when they pulled this out of the ground. Even more amazingly, the professors of MIT had come up with a way of vacuum sealing the capsule so that everything inside was in pristine condition! Spanish construction workers must have thought they’d hit the jackpot when they unearthed 600 kilos of silver and bronze Roman coins. The coins looked as though they’d never been used, and were buried in a ceramic container. The coins were taken by Seville Archeological Museum, who believed. The to be from the 4th Century and placed their worth as invaluable. Be honest, as one of the construction workers, you’d have been tempted to pocket one of the coins, right?! 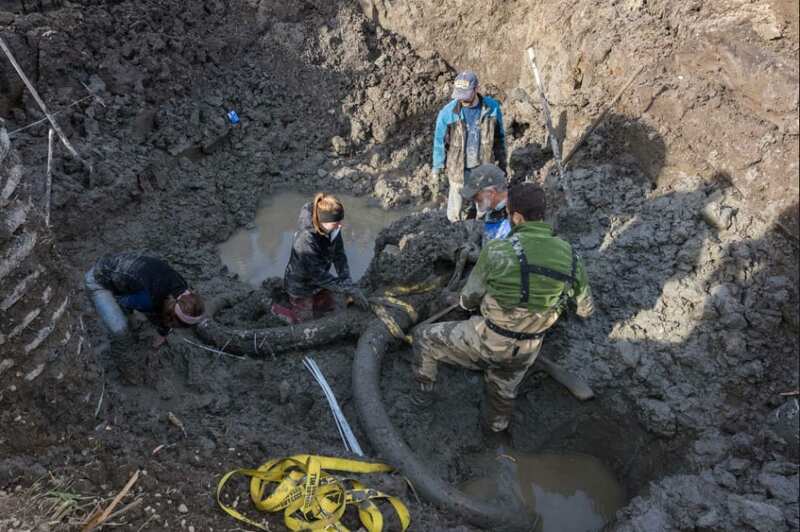 Last year, during an expansion of the football stadium at Oregon State, a construction crew found what turned out to be the bones of a woolly mammoth! These 10,000-year-old bones are one of the most startling discoveries of modern times, not least because the woolly mammoth was thought to inhabit Russia and Asia rather than North America. One theory for how these bones could have got here was the migration of mammoths across the Bering land bridge during the First Ice Age, but this is a debatable theory. Nevertheless, this is one of the coolest discoveries by construction teams in recent years. Around 30 years ago the federal government claimed one of Pablo Escobar’s homes in Miami Beach. This was all part of an operation to bring down drug kingpin Escobar and his empire. Since then some else has bought and moved into the house. 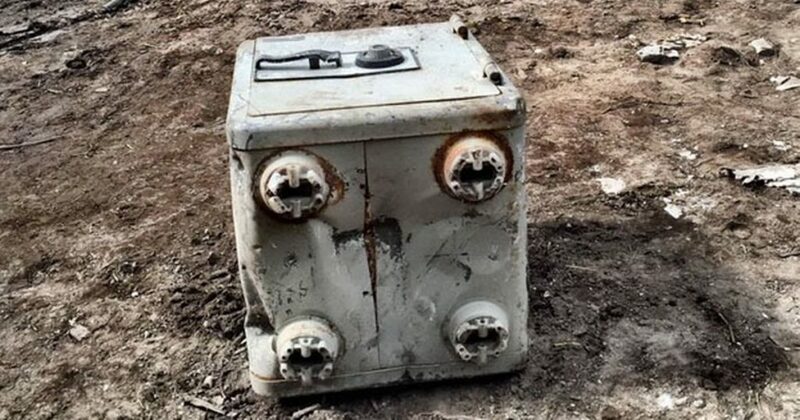 Imagine their surprise when they decided to tear the home down, and the demolition team discovered a locked safe! Imagine their consternation when it was seized by the government, and the contents were never released. There could have been a million bucks in there! Okay, so a letter to Santa is pretty common among the children of today, right? Well, the difference is that this one was found in 2015 and was written in 1943! A young boy named David wrote a letter to Father Christmas, which was found when construction crews were going to tear down an old chimney. Incredibly, David is still alive, and, using social media, found out about the discovery. He met with the builders who presented him with the gifts on his list: slippers, a silk tie, chalk, a pencil box, and a toy.